Apple devices are one of the most secure devices available. Apple works hard to make sure your privacy is protected. The Apple ID is the account you use to access iOS services like iCloud on your Apple devices. Thus, utmost importance is given to the protection of this information. With the new two factor authentication, Apple has made one of the most secure platforms to protect the privacy of its users. Most of the personal data is stored locally into the devices and this data can’t even be accessed by Apple themselves. This feature makes it impossible to get into an iOS device even if you know its password. 1.3 What about newer versions of iOS? 1.4 What tools are available to bypass the verification process? 1.5 What can you do if you want your device to be safe against such threats? Apple introduced an iCloud Activation Lock feature some time ago that locks your iOS device to your Apple ID. This means that a particular device can only be accessed by signing in to the Apple ID it is locked to. If you have bought a used device that is locked and you need to bypass the verification, the device is useless to you. 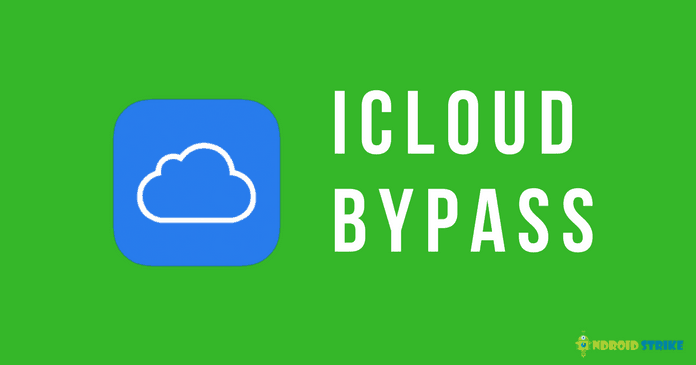 Don’t worry, you can easily bypass iCloud lock and restore it in order to use it. With the introduction of two-factor authentication on iCloud, the user has to log in using the password and the six-digit PIN sent to the registered phone number. Before you follow this method, make sure you are running iOS version 10.3 or below on the device you want to unlock. Devices running versions of 10.3 support two-factor authentication and are invulnerable to this trick. Open the settings app by tapping on the app icon on home screen. Tap on the about button to see which iOS version you have. Open your iOS device and set up your language and location preferences. In the Choose a Wi-Fi network menu, tap on your Wi-Fi network and select More Wi-Fi settings option from the list that appears. Do not connect to the network. If you already have a saved wireless network, remove it by clicking the Forget this Network option. Tap on the info icon i.e. the icon with the alphabet I inside a circle next to your wireless network. Go back by tapping the back button and log in to your wireless network normally. Tap the Back button again to launch the iCloud Bypass menu. You can now access all the apps and data on the device without completing the iCloud verification. Visit https://www.icloud.com/ sign into iCloud using the Apple ID the device is locked to. Click on the Find iPhone option and select All Devices. This should open a list of devices that are locked to the Apple ID. Select the device you want to unlock and Click it. Select the Erase iPhone option in the right corner. Once this procedure is completed, you can reset the device and set it up as a new one. What about newer versions of iOS? Newer versions of iOS have acknowledged the existence of such tricks to bypass the verification process and hence patches have been applied to fix the security flaw. Even if new vulnerabilities are found, you can be sure that the Apple team will promptly fix the issue and release better security updates. These versions also store the passwords in the cloud so it is almost impossible to extract it by yourself. What tools are available to bypass the verification process? Any tool that claims to bypass the verification process is most probably a scam. Do not try to use such tools as they might ask you for personal information and use it to their own benefit or for illegal purposes. If you cannot unlock the device using the procedures given above, chances are that you got a stolen device. In such a case, you can contact police or Apple in order to return the device to the original owner. Do not disclose any personal information on any such sites. You can, however, try these sites or tools at your own risk as sometimes they might work. What can you do if you want your device to be safe against such threats? Keep your device up to date at all times. Apple pushes new updates to all its devices frequently with security patches. These security patches assure that your device is safe against any new threats. Use a strong password for your Apple ID. You should consider using a combination of various characters as your password and not something as easy as “password123”. Finally, don’t tell your password or PIN to anyone. Previous articleHow To Get Pixel 2 Portrait Mode on Any Android device. Next articleFaceTime For Android: Can We Use FaceTime App on Android Device? Norton Antivirus Free Download. Norton Antivirus developed under Symantec is one of the leading antivirus in the industry.